According to a new report from the non-partisan Congressional Budget Office (CBO), the United States federal government debt is projected to peak in 2015 and then drop substantially over the coming decades, all by itself if Congress can just sit on its hands and stop handing out tax breaks to individuals and corporations. Unfortunately, Republicans are bent on extending all of the Bush tax cuts, which the CBO found earlier this year will add $5.4 trillion to the debt in the next decade alone. And the Democrats proposals aren’t much better. 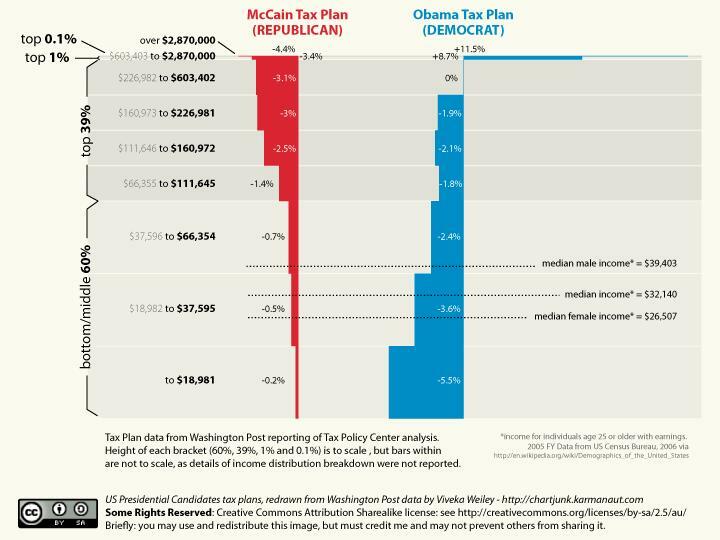 President Obama’s proposal to extend the tax cuts for the first $250,000 a family makes and the first $200,000 a single person makes would actually result in an extension of 78% of the Bush tax cuts and would cost $3.5 trillion in the next decade. (This is still preferable to House Democratic Leader Nancy Pelosi’s proposal to extend the tax cuts for the first $1 million of income a family makes.) Congress should, however, increase the budget deficit temporarily if the result will be greater economic growth. But extending the Bush tax cuts would provide very little boost in economic output (compared to proven measures like increased unemployment insurance, food stamps or other types of spending programs). Old, white, Republicans (i.e. The Tea Party) won’t thank you for anything, Mr. President. It’s beneath them. UPDATE: I’ve been planning a longer version on this one. The difference between what the Tea Party *thinks* is happening in this country and what is *really* happening in this country is astounding. The president argued that America is on the road to recovery and headed in the right direction — something an overwhelming number of Tea Partiers disagree with. People shouldn’t focus on the day-to-day politics and polls, he said. “What you’ve got to focus on is that true North, that lodestar, which is, are the things we’re doing over the long term going to help not just this generation but the next generation? Is this going to make America stronger?,” he said. Note: the title of this post came from the linked article. Obama doesn’t say “me”. (“In all, we passed 25 different tax cuts last year…You would think they would be saying thank you.”) it is a bit trolly and just indicative of what the media has become nowadays. That’s part of the disconnect. Old people with lots of time on their hands watch a lot of TV and a lot of news. That’s who the Tea Party is, which is why they get so much news coverage. They also tend to be wealthier, so despite them being a very small segment of the overall population, they are a targeted news demographic (and make up roughly 98% of Fox News viewers). So they get a lot of coverage and have the time to make a lot of noise. My other piece will be a bit longer, but that’s the general tilt of it.